We are thrilled to announce that we were honored with an Emerald Award for community group/non-profit association. The Emerald Awards recognize and reward the excellent environmental initiatives undertaken each year by large and small corporations, individuals, not-for-profit associations, community groups and governments. We wish to congratulate the other Emerald Award nominees, finalists and winners, and to thank the Alberta Emerald Foundation for hosting a wonderful event. Helping wildlife cross Highway 3 is a winning proposition for improving both human and wildlife safety. Working with Yellowstone to Yukon Conservation Initiative (Y2Y), Western Transportation Institute (WTI) and Road Watch in the Pass, Miistakis is engaging with key government agencies (including Alberta Transportation and Alberta Environment and Sustainable Resource Development) to develop informed strategies and implement actions to reduce wildlife-vehicle collisions, and improve human and wildlife safety, at two key wildlife crossing locations along southern Alberta's busy Highway 3. To learn more please go to www.rockies.ca/crossroads/. 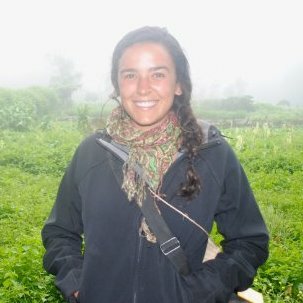 Emily Zink is a Masters of Environmental Science student at the Yale School of Forestry & Environmental Studies in New Haven, Connecticut. Emily will be working with Miistakis for the coming months on an urban road ecology project evaluating the state of urban habitat connectivity and identifying trends in wildlife-vehicle collisions (WVCs) in the City of Calgary. The project aims to calculate the "cost to society" of WVCs, propose mitigation and wildlife management strategies to reduce them, and to establish guidelines to consider the health of wildlife populations and natural habitats for future urban development. Emily's academic background is in political ecology, development economics, and environmental science. Before attending graduate school she conducted research in Kenya and Tanzania studying the impact of rural development on the distribution, demographics, and behavior of local elephant populations. She hopes to pursue a career in wildlife management and sustainable development. Dan Mansell is an undergraduate student at Mount Royal University in the General Science Program focusing in Biology and Geography. His tasks at Miistakis include updating the wildlife-vehicle collision (WVC) database for Highway 3, creating visual representations of this data and determining the monetary costs of these collisions with emphasis given to the species effected and the vehicle types involved in these collisions. The costs associated with WVCs involving different vehicle types and large game animals in Alberta are largely unknown. The compilation of accurate Alberta-specific information may lead to the development of safer highways and healthier wildlife populations in Alberta. Registration for the Exploring Public Participation in Scientific Research Under Western Skies conference on Sept. 9 & 10, 2014 is now open. Visit: rockies.ca/citizenscience for more information or to register. We are also pleased to announce that we have received a Social Sciences & Humanities Research Council Connections grant in support of the conference. This suite of tools was designed by the Miistakis Institute to address conservation issues faced by municipalities in Alberta. We wish to thank the Alberta Ecotrust Foundation for their generous support of this project. Together with our project partners we hosted two workshops on May 15 and 29 called Living with Beavers. Over 50 participants attended and learned about beaver basics, beaver challengers and beaver case studies. We are hoping to offer future workshops should we be able to secure additional funds. Stay tuned! The Miistakis Institute and the Alberta Beef Producers launched an online survey in early February 2014 with an aim to gather producer feedback about the economic costs that wildlife has on beef producers across the province. The results of the survey will be used in conjunction with results from similar studies in other jurisdictions and with Alberta’s wildlife compensation program data to help us better understand the economic impacts of wildlife to beef producers. Copyright © 2014 Miistakis Institute, All rights reserved.